This week I will be busy stitching samples for my very first crochet pattern book, to be produced by American craft book publisher, DRG Networks. 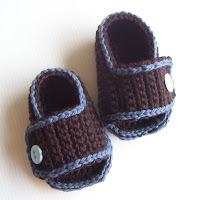 It will feature 9 of my baby shoe patterns. Today I went yarn shopping hoping to find just the right yarn weights and colors for my samples. Oma, I started your sweater this weekend also. I finally know what pattern I'm going to use and it is about 1% finished. :) I'll keep you updated on its progress. CONGRATS!! !WAY tO GO LISA!... can't wait to get a copy of that pattern book:)Will have to check out the new pattern too,my family is having a HOLLAND DESIGNS christmas, thank you for such cute easy to red patterns! oops "easy to READ patterns:)Best Wishes looking forward to new patterns & book!